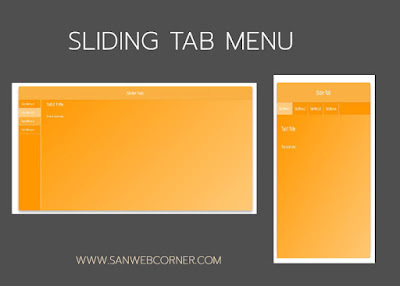 This is one of the interesting topic to create a tab section in different manner, Yes today we will see how to create super sliding tab menu with the help of simple css and Jquery. This example is very useful for developers because lot of website contains this types of tab section. This types of super sliding tab section will reduce the webpage because it shows the specified contents for specified tab menu. When you click another tab menu it gives the relevant content and hides the previous content. Here to hide and show the content we are using the jquery and java script and also article sliders. For layouts we are using the css code. This example is fully responsive in the mobile view it shows the different slide menu. Here is the full css and html code for this example. You can download the code and use it for your website. And also have the live demo, check out the live demo to show the result of this example. I hope this is very useful.